Hello Slashdotters! (I think that's traditional when your site gets a traffic spike, though in my case it's probably minimal. It's certainly the busiest few days my blog has ever seen! I've been registered for years, but hardly ever post. And then two +5 Interesting posts in 2 days.) So just to pick up the story, Lemmings – already one of the most widely ported games ever – has had another port, this time to the iPhone. That wasn't a surprise to me, since Lemmings has even been ported to the ZX Spectrum (I own the machine it was developed on, or at least I did). News that it was ported from the “original” PalmOS made me blink not an eye. Doing it in 36 hours was pretty neat. So I posted some links for more Lemmings information and thought not that much more about it. I thought it was an official port, and as such it was a pretty delightful piece of news. Nope. I was slightly fooled by the use of the word “original” and the screenshots which clearly showed the classic Lemmings graphics. Digging (pun!) more deeply, it was obviously the same sound samples, same music and same levels. Everyone was referring to it as a port, meaning taking the original and re-writing to run on a different machine. It certainly sounded official, but there was no connection to the original, and the guy was wanting to make it available on Apple's App Store. Which was the point that Sony stepped in with a cease and desist. All the graphics were their copyright. I have to say that I agree with Sony. Now I have to be clear that I've no problem with someone porting a game to another platform, particularly since he wrote his own code. Let's face it, as the director of some Star Trek fan films, I can hardly be critical of wanting to play in someone else's playground. But the problem begins when he has taken material from the original – the real original and copied it wholesale. Had he then followed up the code with new graphics and new sound then what we'd have is a clone of Lemmings, a lemmings-a-like game or something which was clearly inspired by Lemmings. An open-source Lemmings IV maybe. And that would be great! Imitation and flattery and all that. Oddly, though, copyright issues aren't what bothers me most. My problem comes down to respect. 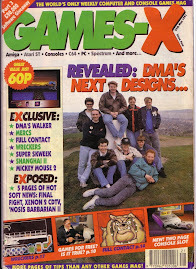 Nowhere in the 36 Hour Lemmings blog is any mention of the original DMA creators. As I once wrote in one of DMA's manuals, we are “real people”. We have families, we have wives, we have girlfriends, we have children and this is how we earn our living. We aren't just some anonymous barcoded numbers in a database. We think, we live, we feel and we care about what we do. To have spent two years working on a game just to find someone selling copies at a car boot sale (yard sale) as I've experienced, hurts dreadfully. It's an insult and is disrespectful. Some posters are delighted that he's sticking it to The Man, who in this case is Sony. Sony didn't create Lemmings. DMA Design created Lemmings, which was published by Psygnosis who were later bought by Sony. The Lemmings concept, was created by Mike Dailly. It was coded by Dave Jones with graphics by Gary Timmons and Scott Johnson. There are more credits of course, but sitting in that office we were hardly the embodiment of The Man. We were doing this because it was cool and because it mattered to us. And for me at least, because ultimately our works are all that we leave behind. And have a read about how it was made too! AND a little about DMA... and how we definitely WEREN'T "The Man".. Thank you for sharing the history of Lemmings, its great to look back on a game I loved playing so long ago. I was pleased to see the port for the iPhone, though a shame it wasn't a real port (I'd love to see the animated intro from the Amiga version once again).